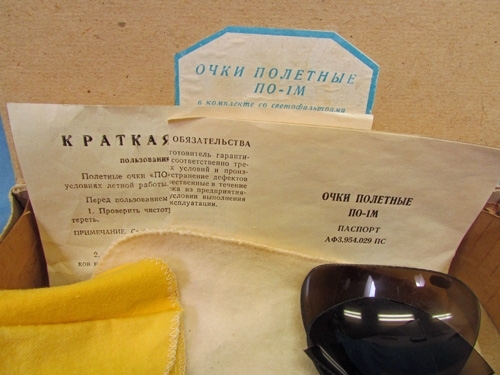 Item #35831 : Original era manufacture. 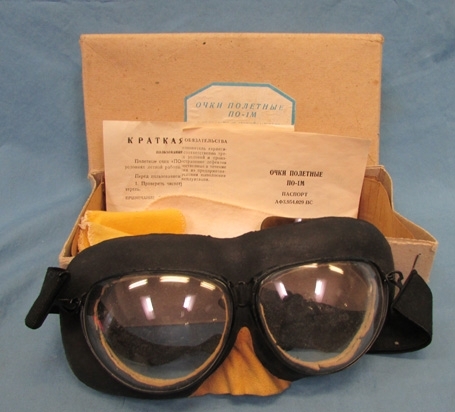 Sound pair of issue pilot or aircrew goggles in their original storage box. Instruction papers inside are dated 1984. 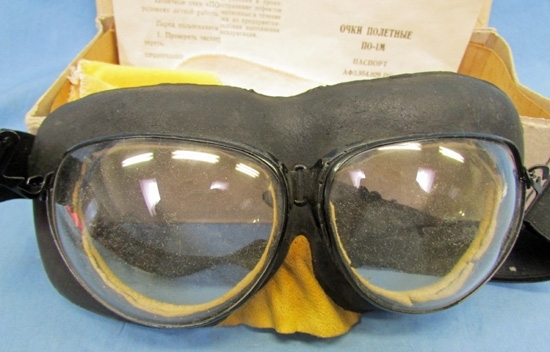 The goggles have clear lenses, and show light wear and age. There is a spare pair of dark colored glass lenses but one is broken.